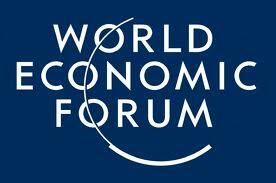 A couple of weeks ago the World Economic Forum published a document on its blog called “The top 10 emerging technologies for 2013”. I thought it might be interesting to have a look at what they say. The article can be read here. The comments are my own interpretation however. About 100 years ago a scientist called Tesla demonstrated that electricity could be provided wirelessly. Today there is an idea that electric cars could drive while being recharged from electromagnetic fields created from cables under the road. The cars would need much smaller batteries of course. The problem with this technology seems to be that it is difficult to measure how much power is taken, so difficult to bill for, nothing more than that. Take a look at this article about other ways of cutting pollution from transport systems. 2. 3D printing and remote manufacturing. Much has been written and the technology undoubtedly carries advantages, but did you read my post about 3D printers potentially being used to make gun parts? A great idea but this and other uses of nanotechnology and its production practices need to be regulated, as does the disposal of such materials. We don’t know enough about the effects upon human health as the recent report cited in another post on this blog demonstrates. 4. Energy Efficient Water Purification. Must be a good thing. Some of Christopher’s thoughts on the issue here. 5. Carbon Dioxide conversion and use. Geo-engineering offers the possibility of drawing carbon dioxide from the air and storing it underground, but this technology is extremely controversial. This article entitled Engineering a Solution to Global Warming gives an idea of some of the ethical debate surrounding such processes. 6. Enhanced nutrition to drive health. Genetic modification of plants to make them more nutritional. Much has been written about the GM issue, it is certainly not as simple as it may sound. Great commercial interests are involved, as are problems of cross fertilization and non-reproducibility. See this article on the Bassetti Foundation website about the Vatican and its interests in the problem. The buzz-phrase Smart City is all over nowadays. Have a look at this article for some ideas of how using sensors might improve urban life. 8. Precise drug delivery through nanoscale engineering. Medicine is the area in which nanotechnology research shows its greatest potential. The problems of regulation still exist as brought up in the article above, but the possible advantages for society make this type of research extremely valuable. 9. Organic electronics and photovoltaics. This article mentions solar panels made using fruit and vegetable juice instead of silicon, and the printing of circuits using organic materials is already a reality. Silicon is more efficient at the moment, but expensive, polluting and will eventually run out, but if scale is not a problem these solutions work well. 10. Fourth generation nuclear reactors and waste recycling. Making nuclear energy cleaner and better is the goal. The questions of safety and sustainability as well as real cost are not raised however, again not an argument that can be expanded upon too much as it is extremely polarized, but there are cleaner and safer ways to produce electricity as the article about electricity generation cited above shows. Well it looks like we got most of it covered at Technology Bloggers anyway, cutting edge as we are. I think those 3D printers are amazing. They are just like technology from a sci-fi novel. Pretty soon we are going to be up to really having replicators like they did on Star Trek. I think the Energy Efficient Water Purification is a great idea as well! I certainly hope not. Good free water though I hope. With regard to your first point, and the fact that cars wouldn’t need as large batteries, that would not only be a good thing in terms of design and space, but also, efficiency, as batteries are the thing holding electric cars back – they are either too small and can’t hold enough electric, or are too big and heavy, creating extra weight. By the end of the article I was quite amazed by the predicted developments, and then had to check they were for this year (not this decade). What can I say? Wow!